This is the second of the two Devour meals I have eaten so far. It’s pretty good. Simple, but good. Devour Italian sausage Lasagna. This one is pretty self-explanatory. It’s lasagna. But instead of using ground beef, it uses Italian sausage. As someone that loves Italian sausage, this was another win. The flavor is excellent, and the cheese feels real. The large, flat noodles were pretty al dente – making them almost hard to cut with my fork – but not enough to be troublesome. My only complaint is that the tomato sauce tasted a tiny bit sweet, but I differ from a lot of people there…I don’t care much for sauce that is a little bit sweet. Probably because I grew up with an Italian grandmother that didn’t make sweet sauce. Overall, it was a solid meal. The flavors work well together and the quality is pretty good for a frozen entree. No, no one pays me. I don’t generate any revenue from this site, it’s mostly my own personal musings and an excuse to learn and manage a linux server. I’m sorry you didn’t like the lasagna. Perhaps my judgement was clouded as I was recuperating from a car accident, so I wasn’t able to get out much. I normally love to cook, but was homebound and couldn’t stand on my leg. I’ll have to revisit it again from the standpoint of having been able to eat a wider variety of foods and see if I still feel the same. I have to side with @james this Meal from just looking at it made me feel iffy. Let alone the finished product once i was done thoroughly cooking it, and mind you i went the traditional more organic route and gave it 1hr on the oven at 375F almost puked first bite. 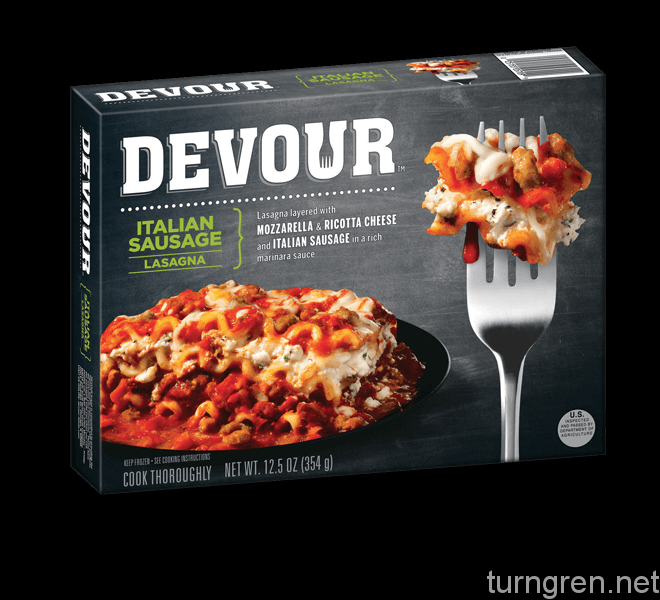 This frozen dinner is by no means a solid meal with all due respect @aturngren idk who you are idk what this site/blog is about all i know is i googled reviews for this said meal and your site popped up lol. I respect your opinion though and if your palate agreed with this lasagna it is what it is right? everyone has their own taste and preferences that being said though i give this contraption made somewhere in the depths of purgatory a -4 out of 10 disgusting to say the least.